Home » Perspectives Papers » The US Withdrawal from Syria: A Blessing in Disguise? EXECUTIVE SUMMARY: However misconceived, President Trump’s decision to withdraw US forces from Syria might have a silver lining for Israel. It forces Jerusalem to reevaluate the basic assumptions of the “peace process” with the Palestinians that has been actively and coercively led in recent decades by successive US administrations. The Oslo process took place under unique global circumstances. The Soviet Union had just collapsed and the Cold War had come to an abrupt end with the West’s clear victory. The US became “the only remaining superpower” and the “End of History” loomed over the horizon. Since then, far-reaching changes have taken place. Russia has reemerged as a major global force and has reassumed its great-power status through direct military interventions in Georgia, Ukraine, and Syria. 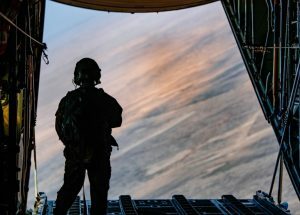 The US, by contrast, has substantially reduced its global involvement over the past decade and has lost its hegemonic position in the Middle East. In this respect, President Trump’s recent decision to withdraw US troops from Syria is but the continuation of the disengagement policy begun by his immediate predecessor. It is arguable, of course, that the withdrawal casts serious doubt on the credibility of the US as a strategic ally. Yet for all its attendant flaws, this step gives Israel a chance to reconsider its longstanding belief in seemingly unshakable US backing. For quite some time, the Jewish state has found itself in a strategic quandary. On the one hand, the more omnipotent the American image, the stronger Israel’s reputation as a major military and political player. On the other hand, the widespread belief in Washington’s ostensible ability to guarantee any Arab-Israeli peace agreement has placed Jerusalem under constant pressure to take the risks associated with withdrawal from areas vital to its national security. Thus, for example, by way of paving the way for the IDF’s total withdrawal from the West Bank as part of an Israeli-Palestinian peace agreement, the Obama administration proposed a complex security package that substituted the deployment of US forces in the Jordan Valley for Israel’s longstanding demand for defensible borders (accepted by Security Council Resolution 242 of November 1967). But to what extent can foreign military forces operating in a wholly alien environment provide an adequate substitute for the IDF in enforcing the West Bank’s demilitarization? Judging by the experience of international forces in the Middle East in recent decades, the answer is far from satisfactory. The United Nations Interim Force in Lebanon (UNIFIL), deployed along the Israeli-Lebanese border since 1978, for example, has miserably failed to prevent the transformation of the area under its jurisdiction into an unreconstructed terrorist entity – first by the PLO (until 1982), then by successive Shiite terrorist organizations. As starkly demonstrated by the recent exposure of Hezbollah’s attack tunnels penetrating Israel’s territory, UNIFIL has totally failed to enforce UN Security Council Resolution 1701 of August 11, 2006, at the end of the Second Lebanon War, which stipulated the disbanding of all armed militias in Lebanon and prohibited arms supplies to any group without government authorization, as well as the presence of armed forces south of the Litani River. Nor does the West’s experience in Afghanistan and Iraq over the past decades inspire much confidence in the ability of external powers to cope effectively with sustained subversive, terrorist, and jihadist insurgencies. These operational constraints notwithstanding, the idea of international supervision suffers from an inherent political-constitutional flaw, namely its total dependence on the consent of the host government, which can demand the immediate withdrawal of all foreign forces from its territory (as happened with the removal of UN forces from Egypt in May 1967). To this must be added the numerous instances where international supervisory and/or intervention forces were withdrawn from countries they were supposed to protect as a result of unilateral decisions by the sending governments: from the evacuation of the American-French-British-Italian force from Lebanon following Hezbollah’s bombing of its Beirut headquarters in October 1983, to the hasty withdrawal of US forces from Iraq in 2011 with the attendant rise of ISIS and its takeover of large swaths of Iraq and Syria, to President Trump’s latest decision. According to Israeli security experts, the US withdrawal has left Israel alone in the battle against Iran’s military entrenchment in Syria. True enough, but this setback can potentially entail an important silver lining. For the sooner Israel recognizes the precariousness of a regional “Pax Americana,” the sooner it will grasp the futility of “painful territorial concessions” in the West Bank, let alone on the Golan Heights. What Israel needs most from the US at the present time is political and diplomatic backing in support of its vital national interests, primarily 1) support for its continued hold of the Golan as a vital condition for its defense; and 2) cessation of pressure for further territorial withdrawals in the West Bank. With luck, Trump’s Syria turnaround might catalyze a shift in US regional strategy in this direction. A shorter version of this article was published in Israel Hayom on December 28.